Care2 Healthy Living | Do Vitamin C Supplements Cause Kidney Stones? Do Vitamin C Supplements Cause Kidney Stones? Mainstream medicine has long had a healthy skepticism of dietary supplements, extending to the present day with commentaries like “Enough is enough.” In an essay entitled “Battling quackery,” however, published in the Archives of Internal Medicine, it’s argued that we may have gone too far in our supplement bashing, as evidenced by our “uncritical acceptance” of supposed toxicities; the surprisingly “angry, scornful tone” found in medical texts using words like “careless,” “useless,” “indefensible,” “wasteful,” and “insidious”; and ignoring evidence of possible benefit. “To illustrate the uncritical acceptance of bad news” about supplements, the authors discussed the “well-known” concept that high-dose vitamin C can cause kidney stones, as I highlight in my video Do Vitamin C Supplements Prevent Colds but Cause Kidney Stones?. Just because something is well-known in medicine, however, doesn’t mean it’s necessarily true. In fact, the authors couldn’t find a single, reported case. 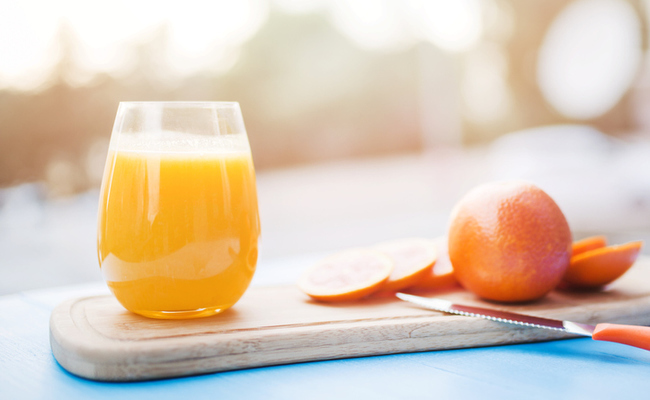 We’ve known that vitamin C is turned into oxalates in the body, and, if the level of oxalates in the urine gets too high, stones can form, but, even at 4,000 mg of vitamin C a day, which is like a couple gallons’ worth of orange juice, urinary oxalates may not get very high, as you can see at 1:10 in my video. Of course, there may be the rare individuals who have an increased capacity for this conversion into oxalates, so a theoretical risk of kidney stones with high-dose vitamin C supplements was raised in a letter printed in a medical journal back in 1973. When the theoretical risk was discussed in the medical literature, however, the researchers made it sound as if it were an established phenomenon: “Excessive intake of vitamin C may also be associated with the formation of oxalate stones.” Sounds less like a theoretical risk and more like an established phenomenon, right? That statement had seven citations supposedly suggesting an association between excessive vitamin-C intake and the formation of oxalate kidney stones. Let’s look at the cited sources, which you can see from 1:47 in my video. One reference is the letter about the theoretical risk, which is legitimate, but another listed citation, titled “Jaundice following the administration of niacin,” has nothing to do with either vitamin C or kidney stones. What’s more, the other five citations are just references to books. That may be acceptable if the books cited primary research themselves, but, instead, there was a kind of circular logic, where the books just cite other books citing that theoretical risk letter again. So, while it looks as if there’s a lot of evidence, they’re all just expressing this opinion with no new data. By that time, there actually were studies that followed populations of people taking vitamin C supplements and found no increased kidney stone risk among men, then later, the same was shown in women. So, you can understand the frustration of the authors of “Battling quackery” commentary that vitamin-C supplements appeared to be unfairly villainized. The irony is that we now know that vitamin-C supplements do indeed appear to increase kidney stone risk. The same population of men referenced above was followed further out, and men taking vitamin-C supplements did in fact end up with higher risk. This has since been confirmed in a second study, though also of men. We don’t yet know if women are similarly at risk, though there has now also been a case reported of a child running into problems. What does doubling of risk mean exactly in this context? Those taking a thousand milligrams or so of vitamin C a day may have a 1-in-300 chance of getting a kidney stone every year, instead of a 1-in-600 chance. One in 300 “is not an insignificant risk,” as kidney stones can be really painful, so researchers concluded that since there are no benefits and some risk, it’s better to stay away. But there are benefits. Taking vitamin C just when you get a cold doesn’t seem to help, and although regular supplement users don’t seem to get fewer colds, when they do get sick, they don’t get as sick and get better about 10 percent faster. And, those under extreme physical stress may cut their cold risk in half. So, it’s really up to each individual to balance the potential common cold benefit with the potential kidney stone risk. What Is the Optimal Vitamin C Intake?